To tie up the ever-fast fading summer, I'd like to share my reviews on my co-bloggers most recently published novels. I did sneak a blurb of my own in as it would be "weird" to review it myself! Kayce attacks many date nightmares on the trip she takes us on with Shannon and Michael. He’s currently married, he’s a cowboy, and it’s a blind-date. What could be worse to Shannon who’s already afraid of her own choice in men? Michael is also gun-shy to hooking up with a woman. Between the bumblings of the “god people,” the unexplainable happenings, and the defiance of Shannon and Michael being pushed together, read this witty, chuckle-out-loud, and romantic novel and you will want to search for the rest of Kayce’s stories. Lexi Post mixes the old with the new and creates her own masterpiece in Passions of Sleepy Hollow. Kat Van Tassel of Sleepy Hollow reluctantly offers her services to Braeden Van Brunt, a replica of her lost lover. They have an instant attraction, but there are problems with this. They live in different centuries and they must figure out the curse on Sleepy Hollow in order to break it. 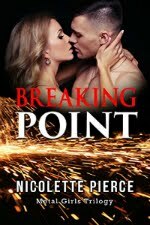 In the limited time Kat and Braeden can physically be together, they make the most of it. 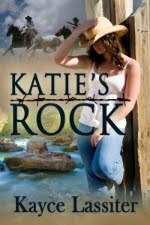 Braeden, larger than life in many ways, teaches Kat to master her sexual needs. But is that enough for one of them to cross the time difference? Follow Kat and Braeden’s fight to stay together through the torments of Sleepy Hollow’s curse and the Headless Horseman. It’s a chilling ride that sweeps you into an intense love story. Lexi Post is a master at mixing the allure of classics with the heart-rendering passion of today’s classics. Shaelyn Cavanaugh had no idea what the handsome uniformed man, Major Remington Harte, brought to her home as she opened her front door of her Mississippi plantation. His strong, powerful, and gorgeous packaging didn’t go unnoticed, but she did attempt to not allow herself the luxury of enjoyment. Harte announced her home had been chosen as a living quarters for his troops. Fine. Shaelyn made sure he enjoyed many tricks to keep him on his feet. The next announcement came as a shock and drove all the foolery out of her. The soldiers took over her family’s shipping business. She attached one condition, that she went along. Mischief and Magnolias is a delightful recount of the inconveniences and hardships taken with a gulp and swallow of the Civil War. An undeniable romance can give a bit of relief hope for the future even for the stubborn at heart. CIA agent Mary Reiss is teamed with the agent of her nightmares, Cal Guevin. He nearly got her killed and now they’re teamed to infiltrate Egyptian terrorists. The imminent danger reignites their fiery past, yet mistrust and a deadly enemy block their advances.